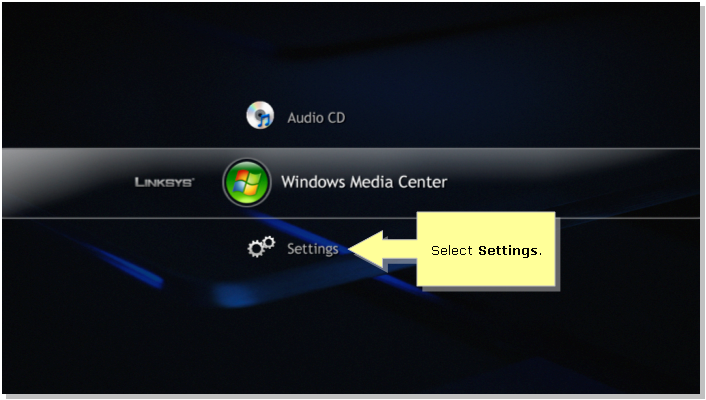 On the Main Menu window, select Settings. 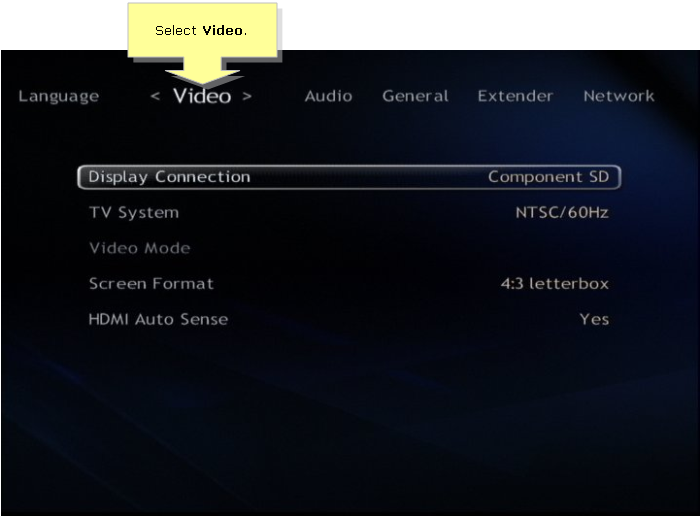 Go to HDTV Resolution and select the type of resolution (480p, 720p, 1080i, or 1080p ) the TV uses. If you are not sure which resolution to use, refer to the TV’s documentation. 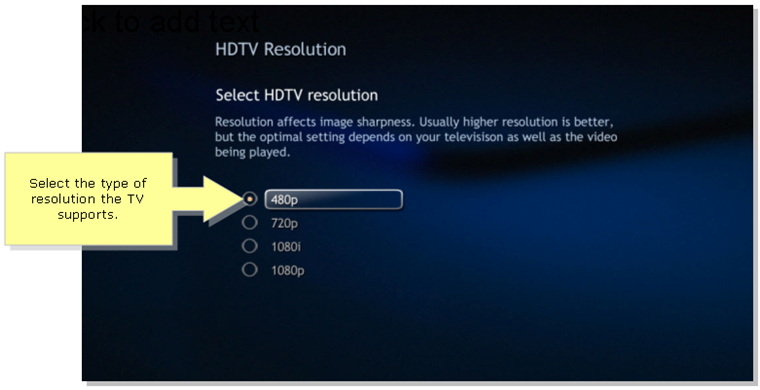 NOTE: You may start selecting 480p then go all the way up to identify the type of resolution the TV uses. In this example 480p is selected.